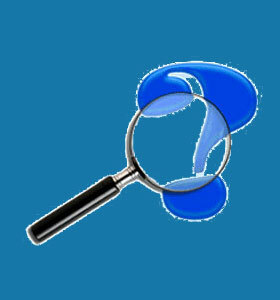 There are many private investigation risks which must be accounted for and managed by professional detectives. Some risk factors of a typical detective career involve legal concerns, while others involve financial matters. In some types of investigation, there is also substantial risk for injury from violence or some type of accident. Risk management is important for professional investigators to consider for each case accepted. Risks that are recognized can be prepared for and circumvented, while hazardous surprises can always spell disaster for any assignment. This discussion assists private eyes in better understanding the risks associated with the detective professions, as well as suggesting techniques that can minimize the chance of suffering any type of financial, legal or physical casualty while working as a PI. Investigators face a variety of legal liabilities as normal parts of their work lives. Since they often work closely with attorneys, and deal in many litigious issues, detectives must always conduct themselves in a manner befitting experts in the paralegal professions. One small step can cost a talented investigator their job or even their entire career. Common legal problems that might be encountered by detectives during their work assignments include infringements on criminal laws, infringement on privacy, slander, failure to adequately document evidence, failure to adhere to proper procedures and the risk of breaking many traffic laws during surveillance and vehicular tailing cases. Basically, if an investigator says or does something that is or can be construed as being wrong, they can end up in big trouble, depending on the circumstances of the case, the client and the type of business operated by the detective. To prevent legal woes from ruining a profitable career-path, detectives are always advised to have adequate business insurance and bonding. Furthermore, if certification or licensure is required for any aspect of business, it should always be kept in effect and up-to-date. One of the biggest risks of going into business for yourself is the possibility of financial losses. For salaried or wage-receiving detectives who work for any type of company, these risks are not really applicable. However, for business owners, the risk of monetary loss is significant and can destroy a new company before it ever has time to flourish. Detective agencies have expenses, just like any other type of business. While it is true that monthly expenditures can be minimized through careful planning, detectives still need to bring in more money than they spend in order to stay afloat. Many aspiring detectives invest considerable sums in their businesses with the hope that the money will come back many times over. While some detective agencies succeed, many others fail. Most of the time, a new business is very susceptible to losses and if paying clients can not be assured, then it will not take long before the business sinks beneath financial burdens that are too heavy to survive. In order to prevent your new detective business from suffering fiscal catastrophe, make sure to develop a good business plan and be certain that you have the connections to assure yourself of the income you will need to survive while you grow your new endeavor. The last category of investigation risks involves the possibility of being hurt or even killed in the line of work. These risks might be minor for many types of detectives, but may be far more common in certain niche specialties. People do not generally take kindly to some detective poking around in their private business. This is especially true when the investigator poses a direct threat to them in the way of criminal prosecution, financial loss or other casualty. It is not uncommon for people to react with violence if they discover that their lives are being snooped into by a professional investigator. Bounty hunters, bodyguards, private security officers, process servers, infidelity investigators, criminal detectives, repossession agents and paramilitary contractors face the most serious risks to life and limb. Even general PIs face occasion physical confrontations that can leave them injured or dead. Therefore, it is best for investigators to always err on the side of caution and be mindful of their environment, activities and targeted subjects at all times. Every investigator should be well versed in self-defense and some types of detectives should also pursue specialized self-preservation training, such as tactical shooting and threat assessment. Hopefully, this essay will help investigators stay safe out in the field, as well as in the courtroom and in the business world. Remember that the world can be a dangerous place, especially when you are actively involved in a competitive industry, such as professional investigation.